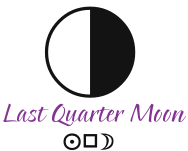 The LAST QUARTER MOON occurs on Thursday, March 28th, 2019, at 12:10 AM EDT. Very early Thursday, the Last Quarter Moon is exact, when the Sun in Aries forms a square with the Moon in Capricorn. This phase of the Moon occurs at 7 degrees and 12 minutes of Capricorn forming a square to the Sun at 7 degrees and 12 minutes of Aries, affecting people born with personal planets and points at approximately 5 to 9 degrees of the Cardinal signs (Aries, Cancer, Libra, and Capricorn) most significantly. LAST WEEK: The FULL MOON occurred on Wednesday, March 20, 2019, at 9:43 PM EDT. On Wednesday night, the Full Moon occurred very early in the sign of Libra, shortly after the Sun enters Aries. The Full Moon is a time of culmination and the promise of fulfillment of that which was started at the New Moon. It is an emotional time – a time of romance, fertilization, and relationships. This Full Moon urges us to strike a balance between meeting our personal needs and tending to the needs of a significant other, and between independence or autonomy and dependence or companionability. The Aries-Libra polarity is a relationship axis, where Aries represents “self” and Libra represents “other.” Where Aries is about self-assertion, Libra is about compromise. The primary energy of the Libra Moon is the awareness of the need for relationships and all that might come with maintaining them — compromising, negotiating, graciousness, and balancing. The Aries Sun, on the other hand, is self-assertive, leading, and personally courageous. The Libra Moon is diplomatic, equality-minded, and fair-minded. 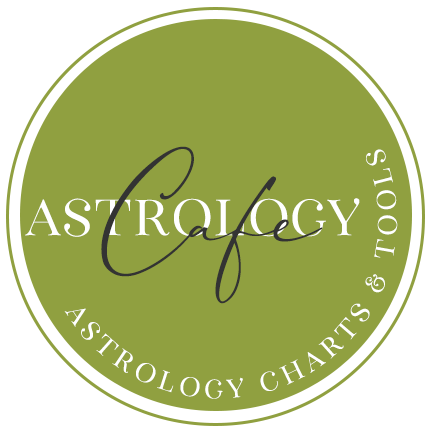 The Aries Sun, however, values authenticity over tact and is energized by independent efforts. The Full Moon illuminates this conflict. With the Moon full and bright in the sky, symbolic “illumination” occurs in our own lives. However, these new feelings and revelations are emotional ones, as emotions burst forth into our consciousness. It’s time to express ourselves and to let things out of our systems. Of course, we might want to exercise some care while doing so, knowing that what is coming out of us is new and not particularly rational as yet. In the first degree of Libra (the Sun is at the Aries point/spring equinox), epiphanies or culminations occurring now have special significance, leading to important new beginnings and fresh starts. Something comes to full bloom and it sets us on a new path. Interestingly, the ruler of Libra, Venus, is approaching a square to Mars, the ruler of the Aries Sun, pointing to further conflict and tension between our needs for independence and togetherness. The results of these conflicts can prompt new beginnings. 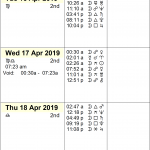 Note that while this Full Moon occurs at the beginning of the sign of Libra, next month’s Full Moon will be near the end of the sign, so there is more to the story and perhaps final word on it around the Full Moon on April 19th. 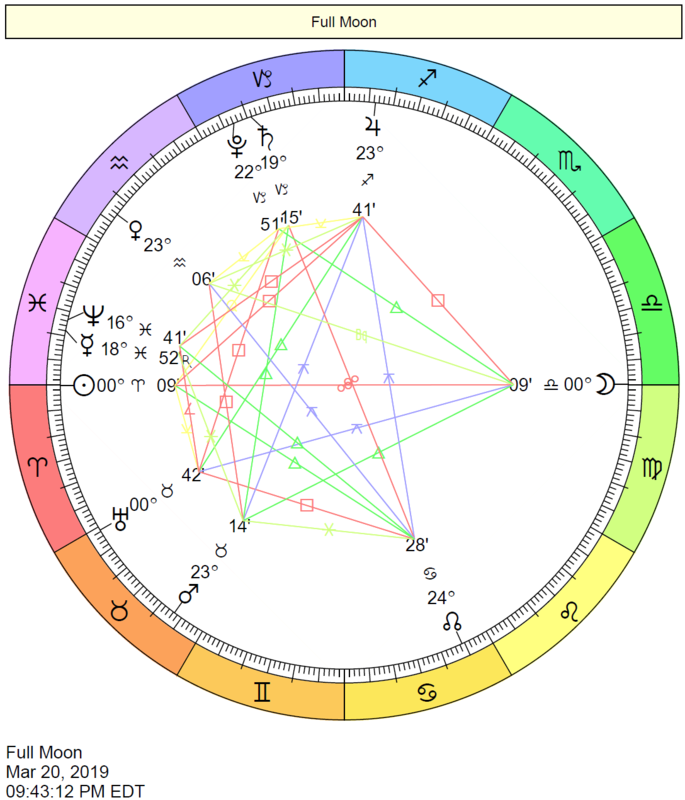 This phase of the Moon occurred at 0 degrees and 09 minutes of Libra forming an opposition to the Sun at 0 degrees and 09 minutes of Aries, affecting people born with personal planets and points at approximately 25 to 30 degrees of the Mutable signs (Gemini, Virgo, Sagittarius, and Pisces) and approximately 0 to 5 degrees of the Cardinal signs (Aries, Cancer, Libra, and Capricorn) most significantly. 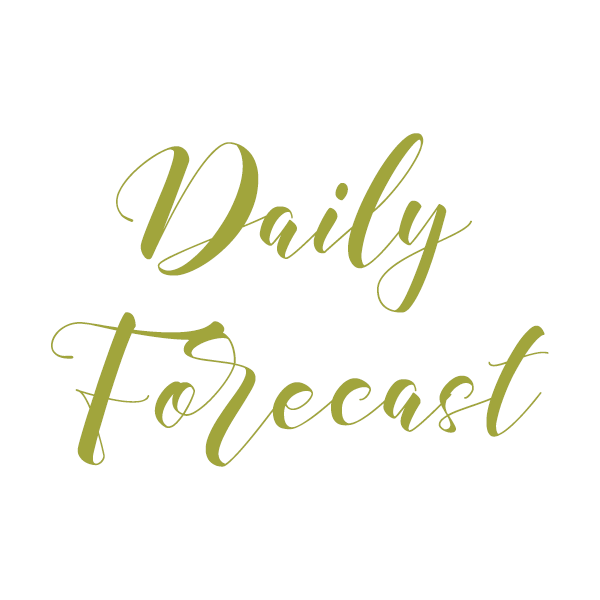 This week: The Sun is in Aries; Mercury is in Pisces; Venus is in Aquarius until the 26th, after which Venus is in Pisces; Mars is in Taurus. Venus is in Aquarius from March 1-26. We move towards unconventionality, independence, and freedom as themes in our social relationships under this influence. Aquarius can be just as faithful as Capricorn, but it has to be on his own terms! Experimental relationships are more intriguing now. Being friends as well as lovers is important to us during this cycle. Allowing one another freedom of expression, and treating others fairly, unselfishly, and impartially, are themes now. This week: On Tuesday and Wednesday, we’re open to new ways of relating and more accepting of differences and individuality. It’s a good time to make an effort to reach out, make changes, and embrace new ways to have fun and enjoy ourselves and our relationships. Venus in Aquarius March 1-26. A love for the unusual, a distaste for stodgy old rules and conventions, a feeling that you’re above the petty bourgeois stuff and nonsense: that’s what a new cycle brings into your life now. (“I love humanity; it’s people I can’t stand!”) Unconventional romantic and social connections are likely at a time like this. Venus square Mars March 20-21. Passions run high under this influence. Sexual tensions and competitiveness are possible, and there can be conflicts that arise from distinct differences between romantic and sexual needs. There is an air of competitiveness under this influence, which need not be difficult. It can be stimulating, creative, passionate, and invigorating. Venus sextile Jupiter March 20-21. This aspect generates a happy, friendly, and optimistic attitude. People are a little more outgoing and sociable. Favors travel, education, and culture. Romantic opportunities. Harmony and goodwill. Venus sextile Uranus March 26-27. We lose our fear of taking risks at this time, and we happily embrace all that is new, unusual, and out-of-the-ordinary with regards to romantic involvements. We are ready to experiment, but not necessarily ready to commit. 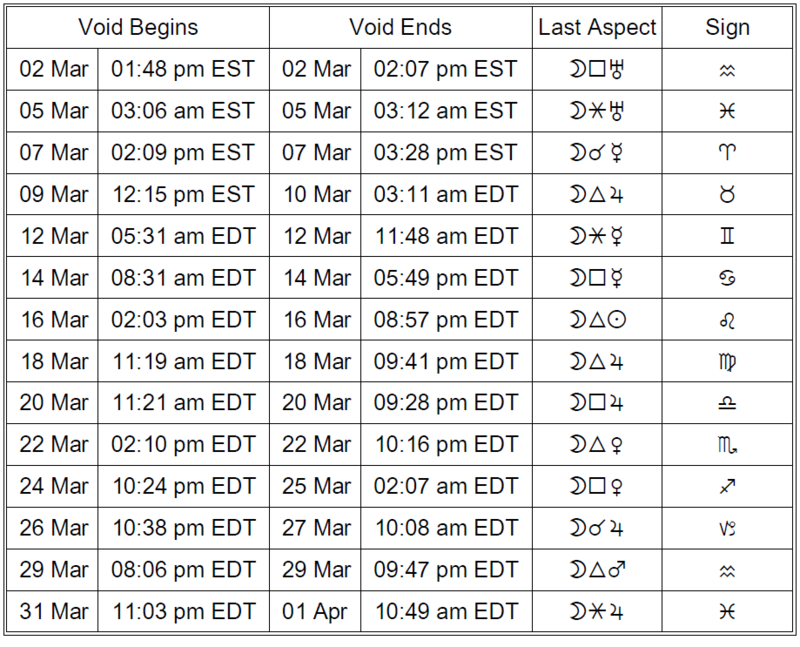 Void-of-course Moon on Sunday, March 24th, from 10:24 PM EDT, with the Moon’s last aspect before changing signs (a square to Venus), until the Moon enters Sagittarius the next day, Monday, March 25th, at 2:07 AM EDT. 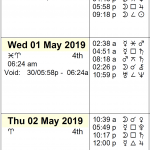 VOC Moon on Tuesday, March 26th, from 10:38 PM EDT, with the Moon’s last aspect before changing signs (a conjunction to Jupiter), until the Moon enters Capricorn the next day, Wednesday, March 27th, at 10:08 AM EDT. VOC Moon on Friday, March 29th, from 8:06 PM EDT, with the Moon’s last aspect before changing signs (a trine to Mars), until the Moon enters Aquarius at 9:47 PM EDT. This week, the Moon is waxing this week until the Full Moon on the 20th – a period that is generally considered favorable for new beginnings with exceptions. (See Best Time to Start a Business for more details). The Moon is waning after the Full Moon on the 20th, which is generally considered unfavorable for new beginnings, again with exceptions. 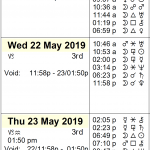 According to principles of timing with the Moon, a window of opportunity occurs this week from approximately 10:10 AM to 10:35 PM EDT on Tuesday, March 26th, while the Moon is in Sagittarius. 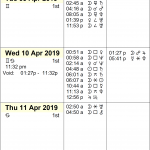 Another window occurs from Saturday, March 30th, from approximately 1:15 AM EDT, until Sunday, March 31st, at approximately 11:00 PM EDT, while the Moon is in Aquarius. 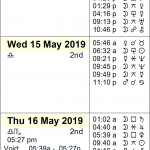 Caveats: Mercury is retrograde for the first window (until March 28th). Venus sextile Uranus. This is a favorable influence for social meetings and events, and for situations that call for treating others with equality and respect. We lose our fear of taking risks at this time, and we happily embrace all that is new, unusual, and out-of-the-ordinary with regards to romantic involvements as well as financial undertakings. We are ready to experiment, but not necessarily ready to commit. A good time for financial undertakings involving electronics, technology, the internet, metaphysics, and the arts, as well as group activities. A taste for the offbeat is in order. Venus semi-square Saturn. There may be difficulties relating to others under this influence. People may be cool with their affections and emotionally distant. Avoid new financial undertakings, as they may prove to be “money pits” as time passes. There may be anxiety or troubles with regards to matters concerned with the feelings. Romantic disappointments, unrequited love, separations, and broken engagements are the more negative manifestations. We tend to lack social confidence at this time and adopt a shy, formal, or reserved social manner. This transit is best used for reflection. Mercury, in retrograde motion, returns to align with Neptune today, and our intuitive creativity is in strong focus. This is a favorable transit for artistic and literary endeavors. Daydreaming, visualization, and prophecy are stimulated. Communications may be unclear, vague, or downright confused! We may be subject to deception or self-deception. As such, it’s better not to lock something important down under this influence, as a change of mind is likely later. It makes sense to keep our minds and options open for the time being. The Moon spends the day in Scorpio. 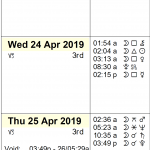 The Moon is void from 10:24 PM EDT, with the Moon’s last aspect before changing signs (a square to Venus), until the Moon enters Sagittarius the next day, Monday, March 25th, at 2:07 AM EDT. The Moon ends its transit of Scorpio at 2:07 AM EDT when it enters Sagittarius, and we can experience a mood change as it does. Under the influence of a Sagittarius Moon, our focus turns outward, and we set our sights high. Optimism is one of the positive traits of this position; neglecting to see the essential details of a plan is a weakness. We’re more outgoing, adventurous, and interested in gaining knowledge and experience. This can be a spontaneous time when we can be especially attracted to new situations of conquest or adventure, requiring less prompting than usual to get moving and to experience life. The Moon ends its void period when it enters Sagittarius at 2:07 AM EDT. Venus moves into sacrificing, compassionate Pisces today, bringing sweet but sometimes escapist energy to our lives, and especially our interactions and relationships until April 20th. Venus in Pisces is tender and affectionate, although hard to reach nevertheless, as there is a longing for something hard to define and hard to satisfy. Borders and boundaries blur under this influence. The shadow side of this position can involve evasiveness and avoidance. The Moon spends all day in Sagittarius, aligning with the Sagittarian planetary ruler, Jupiter, tonight. This is an inspiring, hopeful, visionary, and adventurous period. 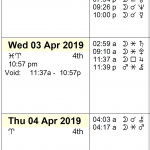 The Moon is void from 10:38 PM EDT, with the Moon’s last aspect before changing signs (a conjunction to Jupiter), until the Moon enters Capricorn the next day, Wednesday, March 27th, at 10:08 AM EDT. The Moon continues its transit of Sagittarius until 10:08 AM EDT, after which it transits organized, practical Capricorn. But while the Capricorn Moon energy is conservative, a Venus-Uranus sextile occurs today, encouraging us to let go so we can move on. This is a liberating influence, as we open ourselves up to new ideas, ways of relating, and different people or experiences. Venus-Uranus enables more comfortable and successful social interactions, as we are open to new perspectives and new situations. It’s also a fine time for intuition and a good sense of future trends in business. The Moon continues its void period until it enters Capricorn at 10:08 AM EDT. Very early today, the Last Quarter Moon is exact with the square between the Sun in Aries and the Moon in Capricorn. The Last Quarter Moon phase points to a small crisis of consciousness. After basking in the awareness symbolized by the full light of the Moon at the time of last week’s Full Moon, we disperse our knowledge and come to a point when we need to sort out what works for us–and what doesn’t. This is in preparation for next week’s New Moon when something new is born once again. This is not the best time to start a major project, as the decreasing light of the Moon symbolizes a descent into unconsciousness. It’s time to begin finishing up the details of that which was conceived at the last New Moon. 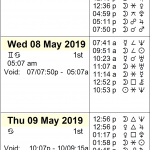 Mercury turns direct this morning after retrograde motion since March 5th. Over the coming weeks, recent problems with communications and decision-making should start to improve. Answers we’ve been waiting for can arrive. Plans or projects that have stalled might now resume. We can be flooded with energies that are hard to make sense of during the shift today, however, and thus critical decision-making might be avoided for the time being, as our thinking can be skewed temporarily. It’s a better day to take in than to take action. The Moon spends the day in the sign of Capricorn. Mercury and Uranus connect via a semi-square, and we are easily distracted. There may be some tension or concerns over new developments or pending decisions. We can feel pressured to make a decision or stressed out, but this can also be a time for seeing a tricky matter in a new light. Our sense of responsibility is stronger than usual, and we aim for efficiency in most areas of life with the Moon’s transit of Capricorn until 9:47 PM EDT. 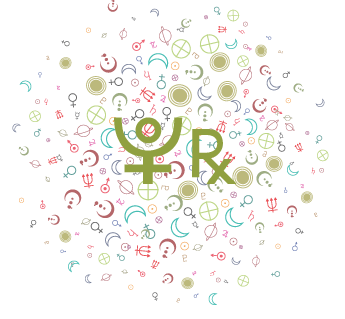 The Capricorn Moon is responsible and practical, and since Capricorn is a cardinal sign, it’s also action-oriented. 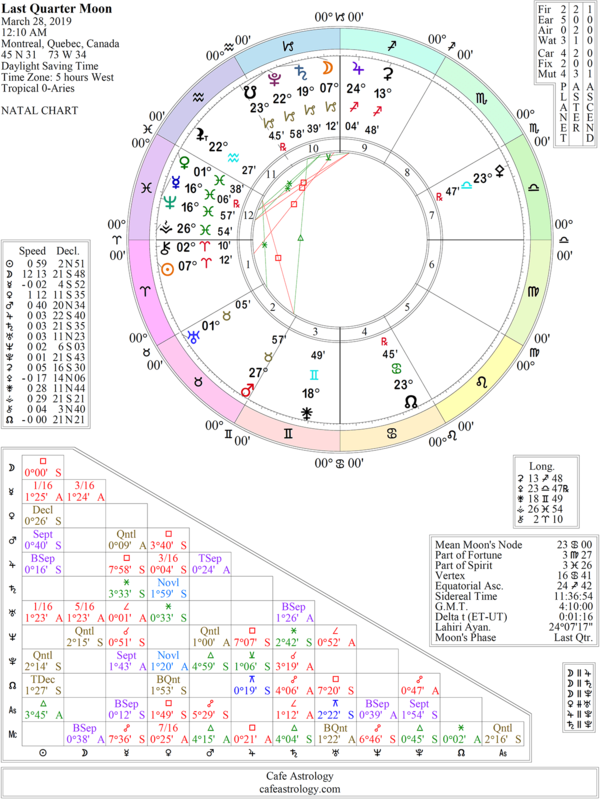 This trait is highlighted today as the Moon harmonizes with Mars, which connects us more closely to our instincts. It’s a good time for activities that engage our emotions. This Moon grounds us on the one hand and stimulates our ambitions on the other. From 9:47 PM EDT, the Moon transits Aquarius. The Moon is void from 8:06 PM EDT, with the Moon’s last aspect before changing signs (a trine to Mars), until the Moon enters Aquarius at 9:47 PM EDT. 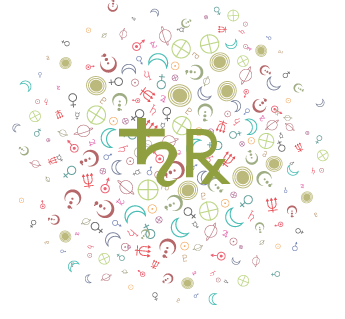 Today’s Venus-Saturn semi-square can point to possible diffidence in our interactions. We may be cool with our affections and emotionally distant. Anxiety or troubles regarding matters concerned with the feelings and affections are likely. Although it’s a clumsy aspect, there is still good energy for setting intentions and making plans today. 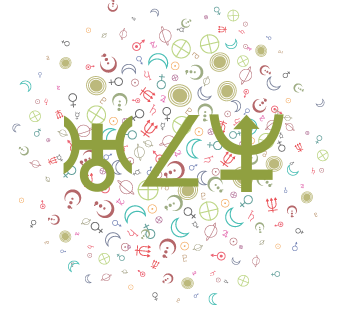 We’re drawn to all that is original, inventive, and progressive with the Moon in Aquarius. We thrive on intellectual stimulation, change, and unusual or unconventional experiences. The Moon’s sextile to the Sun can help us find adequate and even beneficial channels for self-expression and release of emotions. 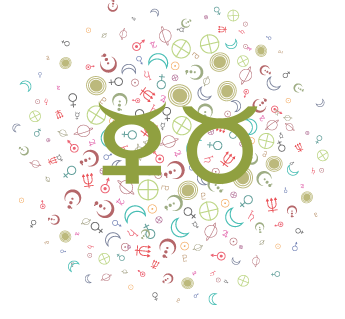 Aries-Aquarius is a nice combination, as Aries assertiveness and energy can find social or humanitarian outlets. There can be enthusiasm and a can-do attitude now. 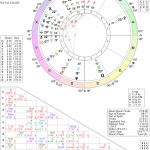 Venus in Aquarius A love for the unusual, a distaste for stodgy old rules and conventions, a feeling that you’re above the petty bourgeois stuff and nonsense: that’s what a new cycle brings into your life now. (“I love humanity; it’s people I can’t stand!”) Unconventional romantic and social connections are likely at a time like this.